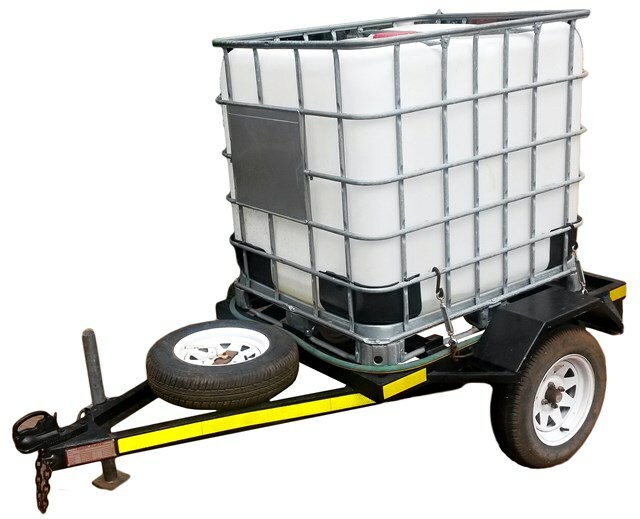 If you are looking for a water trailer for hire, look no further. We at Trail Acc Trailer Hire manufactures our own trailers according to SABS specifications. The 1000 litre water tank is mounted on a single axle road trailer with a 1400kg loading for off-road application to be towed empty to site.. The water trailer is suitable to be used on building sites and industrial usage where clean water is not necessary. The water tank cannot be used for drinking water. Additional features: Single axle unit with no brakes. To hire your trailer, contact us today to make a booking.